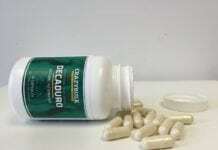 When it comes to supplementation the cost sometimes outweighs the benefits. This is not the case with MyProtein Hurricane XS though, which is an all-in-one supplement combining all the protein, carbs, creatine and glutamine you need to make huge gains. What is Hurricane XS made from? All-in-one supplements such as Hurricane XS are good for those who do not want to go through the pain of taking various individual products, thereby saving you time and money. 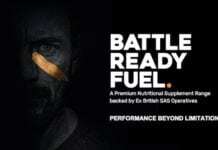 This particular supplement contains ultra fine Scottish oats (20g per recommended serving), which have been added because they release energy over an extended period of time. It also contains both isolate and concentrate proteins (30g per serving), which will help with muscular repair and growth. Creatine is also present (5g per serving), which allows for enhanced muscle and strength gains. Finally, Hurricane XS contains HMB (1.5g), which has been added to the formula so as to maintain muscle mass and to avoid possible catabolism. Hurricane XS is available in 15 different flavours including banana, chocolate, strawberry and unflavoured. There is plenty of choice for everyone, even the fussiest should be able to find a flavour that they like. How much does Hurricane XS cost? What sets this supplement apart from all the rest is its price, which when compared to other top selling brands is astonishing. Take Maximuscle’s bestselling supplement Cyclone for example, the 2.7kg version costs £77 while Hurricane XS costs a much more affordable £34.99 for 2.5kg. Even the 5kg bag costs less at just £62.99. 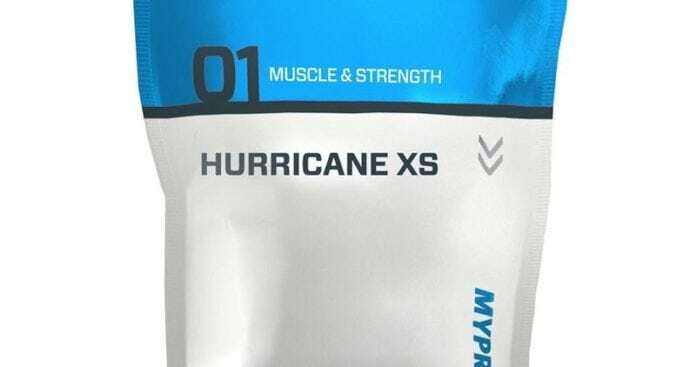 Hurricane XS is often available on sale at MyProtein.com so keep an eye out to pick up an even bigger bargain. 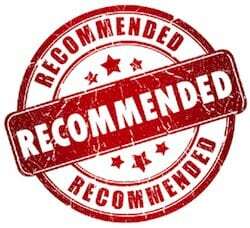 Hurricane XS is highly recommended if you want to see huge gains at a bargain price. 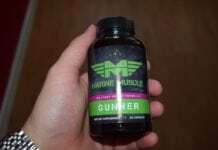 This all-in-one supplement is over half the price of the popular Cyclone supplement, but offers almost the same benefits. Where to buy Hurricane XS? It should come as no surprise that the best place to buy MyProtein Hurricane XS is from the official MyProtein website. They guarantee that their prices will not be beaten, with free next day delivery for orders over £100.